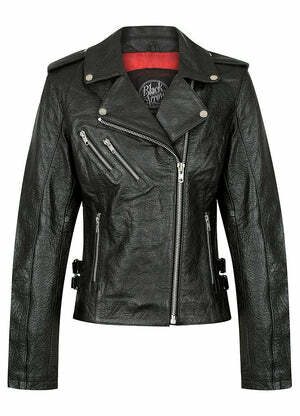 Black Arrow's top-selling leather jacket is styled and cut for women and is a modern classic that will be forever timeless. Featuring multiple buckle fit points for tailored adjustment. With perforated leather and cotton and mesh lining this is a great motorcycle jacket for summer riding. Includes DuPont™ Kevlar® lining panels and CE approved armour the Wild & Free motorcycle jacket is fashion forward without lacking in real-world protection.